Just it's hard to imagine cinema without Steven Spielberg or Stanley Kubrick, so a world without David Lynch seems as absurd and as nightmarish as one of his films. The man who is arguably America's greatest living filmmaker has so completely re-written the rulebook for surrealist filmmaking, that even non-fans like Roger Ebert would admit that the world would be a duller place without him. 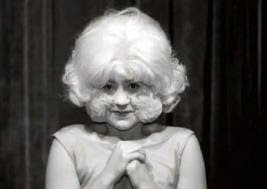 If you want proof of this sea-change which Lynch has caused in cinema, you need look no further than his debut feature Eraserhead, a dark and fascinating fable about marriage, heaven and industry which set the midnight movie circuit alight in the late-1970s. 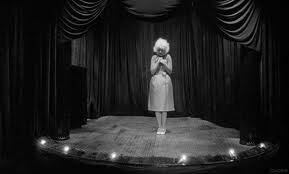 Marrying Alan Splet's masterful sound design to a series of horrifically beautiful and strange images, Lynch creates a viewing experience which is nothing short of mesmerising. 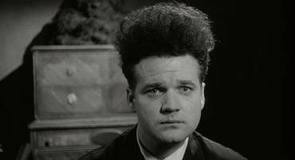 Part of the mystique of Eraserhead lies in the fact that relatively little is known about it even after 34 years. Lynch is famous for refusing to reveal what his films mean, but the production history is as mysterious as the finished product. There are no making-of documentaries, and even Lynch's own interviews focus on the pre-production rather than the actual filming. 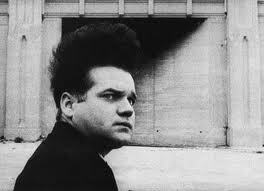 Eraserhead was filmed intermittently over six years beginning in 1970, when Lynch received a grant from the American Film Institute to film a 21-page script about adultery. What began as a long short morphed over these six years into a four-hour rough cut which Lynch subsequently pared down to 90 minutes. During this time Lynch experienced a spiritual epiphany, beginning his involvement in transcendental meditation which he continues to this day. Lynch's photography, both past and present, has often revolved around disused factories or industrial landscapes which have fallen into disrepair. Eraserhead mirrors this fascination, depicting a vision of post-industrial society which makes the workers' city in Metropolis look like the Costa del Sol. Every building seems to be either a relic of a bygone age or coming apart at the seams; where there are plants or trees, they are black and completely bare. Alan Splet's amazing soundtrack howls and wails, as if the Earth itself were groaning under the weight of Man's work, from all His once-great achievements now rendered obsolete by age and progress. By creating such a dark and desolate landscape, Lynch makes us feel isolated and alien to our surroundings: we are the living and the breathing in a world comprised entirely of death and decay. This feeling of alienation and malaise spills over into the characters, with Henry's father-in-law remarking that the whole world has become a "hell-hole". Their conversations are filled with the awkward silences that would become characteristic of Lynch's work, while the black-and-white visuals give the impression that this world is slipping into the next, like the characters in Samuel Beckett's Endgame who are patiently waiting for death. 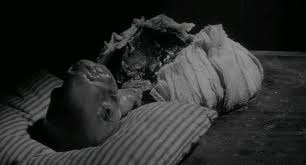 Like Alien two year later, Eraserhead's central story revolves around the male fear of pregnancy and the Freudian connotations of offspring. Some commentators have speculated that the entire film is an allegory for Lynch's anxiety about the birth of his daughter Jennifer - none moreso, incidentally, than Jennifer Lynch herself. 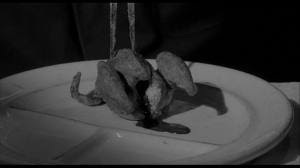 Regardless of whether that is true or to what extent, this theme is writ large throughout Eraserhead, and manifests itself in a number of sinister ways. When Henry first discovers that he is a father, he reacts not with delight but with fear - fear not of the parents' reaction, or for his girlfriend, but of what monster he may have created. The film begins with the spectral apparition of a child emanating from Jack Nance's mouth, as if this creature was spawned from the darkest depths of his unconscious. The baby is the id to Henry's ego, its bizarre and impossible constructions being at odds with his straightforward demeanour and limited range of expression. Along these lines, Henry's attack on the child is the ego (or super-ego) defeating the animalistic id, albeit with serious and unforeseen consequences. Over the course of the film both Henry and his girlfriend are tormented by their child. It lies screaming incessantly at night, to the point where the girlfriend packs her things and goes home, leaving the baby entirely in his care. From then on the baby becomes more menacing and vindictive towards Henry: first it screams to prevent him leaving the flat, and then it laughs at him when it seems the girl who lives across the hall no longer cares for him. 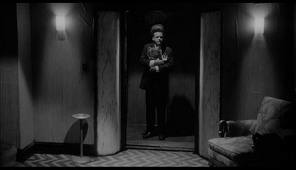 With this development Eraserhead becomes a film not just about fear but about responsibility, in which the child is the physicalisation of Henry's conscience. Although Henry is hardly the philandering type, he does entertain fantasies of other women, where the brunette across the hall or the strange blonde who lives in the radiator. There are almost hints of Pinocchio in the father-son relationship, with the almost unreal baby keeping the real-life father on the straight and narrow. But unlike Pinocchio, there is no friendship between them, and ultimately the puppet permanently rebels against his conscience. In his 2006 book Catching the Big Fish, Lynch called Eraserhead his "most spiritual movie", and claimed that the whole project came together after he read a certain (unnamed) part of The Bible. 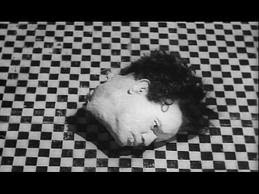 There are huge Biblical overtones in Eraserhead, and most of them are from the more unpleasant parts of the Old Testament. Not only does the baby represent the sins of the father being visited on the sons (Exodus 34:7), but the man in the moon moving all the levers could be God setting all of this in motion. Alternatively, the man in the moon and the woman in the radiator may have nothing to do with God at all. They might be projections of Henry's subconscious, being respectively a scapegoat and a possible source of redemption. The man resembles the baby in all his rashes and peculiar spots, hinting at the concept of Man creating a jealous, negative God as a projection of his own cold heart. When the lady is dancing, she tramples on copies of the apparitions from the beginning, suggesting to Henry that he must overcome this evil to gain both her love and his salvation. The final scene, where she embraces Henry and the screen fades to white, could indicate that he has gone to heaven - where, as the song says, everything is fine. There are clear through-lines to Mulholland Drive in her resemblance to Marilyn Monroe (whom Betty/ Diane also resembles) and in the use of a theatrical performance within the world of a film. All of these interpretations are valid, and there is nothing in the content of Eraserhead which can be explained for certain. What is for certain is the terrifying nature of the special effects used to bring this baby to life. Various rumours surround this unique special effect, the most common being that it is a pickled calf foetus, animated from within. Whatever it is, its twisted shape and harrowing cries burn deep into our subconscious and genuinely freak us out. We jump when we see it break out in spots, and its death throes are nothing short of nerve-shredding. 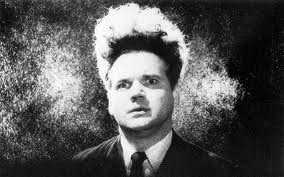 Eraserhead is a dark and twisted masterpiece which remains one of the most extraordinary debut features in all of cinema. Lynch's direction is immaculate, creating a unique cinematic vision which is not only frightening but deeply visceral and dripping with substances. It is a high point of surrealist cinema that would have made Salvador Dali proud, and may even be the best such work since Un Chien Andalou. In any case, it is essential viewing for everyone with even an iota of interest in film.